A friend of a friend’s place in NY, also has old tire terraced gardens, crushed rubber paths and an awesome 40’+ foot inside climbing rope!! 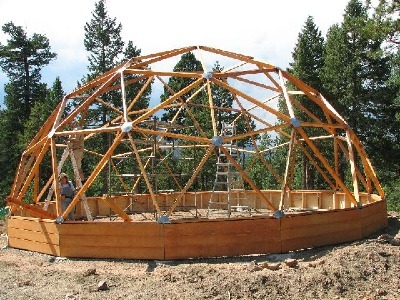 This entry was posted in Green Building and Bamboo and tagged dome living, geodesic dome, hipehabitat. Bookmark the permalink.